In Curve Components Part 1 and Part 2 I addressed the elements that make up one’s personal curve. 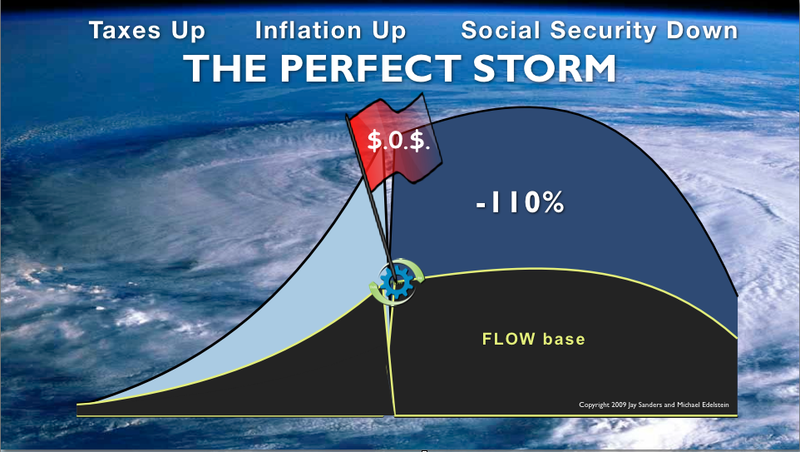 In the following I’ll bring in other factors, factors beyond our control which can do real damage to the shape of our plan curves. In the image above you’ll see four curves. The curve in the bottom left corner is our base plan curve. 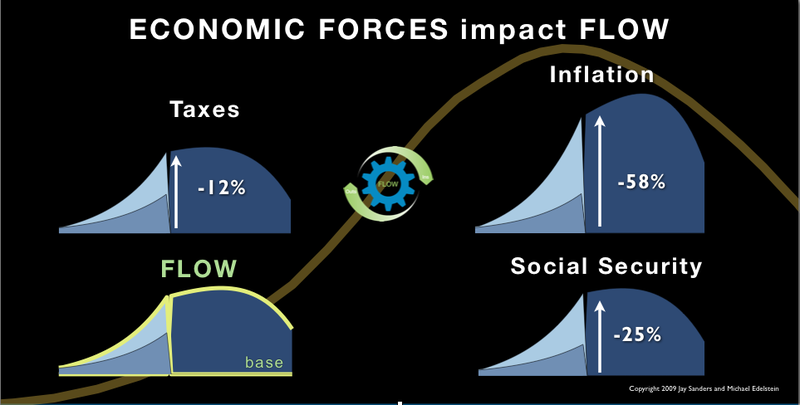 The other curves represent the base curve plus the individual macro force; base plus tax, inflation or social security. You’ll note that in each instance the base plus curves are larger and more pronounced than the base curve. That’s not good because when our curves grow in height it means we’ll need more money to retire. The negative numbers indicate that the curve plus macro force is worse, for example, the inflation curve its 58% worse than the base curve. When you put all the macro forces together at once it could look like this.